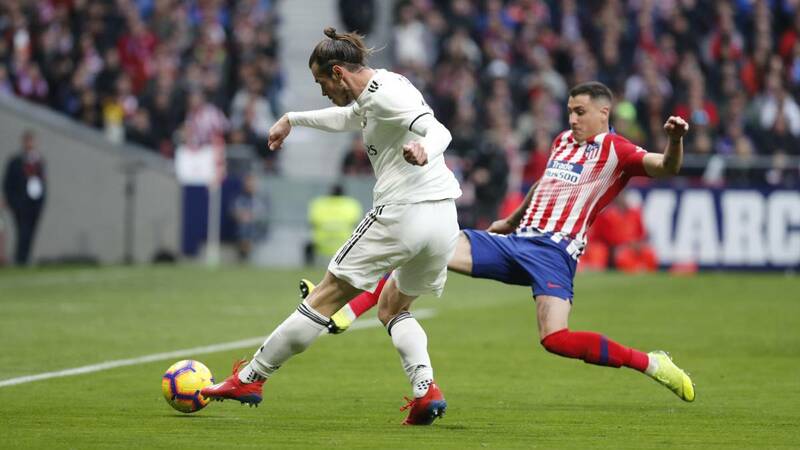 The first leg of the Cup semifinals was the most watched of the year on television and the game against Atlético, the second most watched league match of the season. Last week ended as the best of the season in soccer audiences. To the good records of the Cup semifinals ( the 9.8 million of the Classic are the most watched of the year, being more often than any clash of the last Champions except the final) it is necessary to add that the weekend brought the best day of LaLiga in terms of television follow-up. The Atlético-Real Madrid on Saturday and Athletic-Barça on Sunday are ranked second and third, respectively, of league games more followed of the course, only surpassed by the October Classic ( 2.7 million). Between both there were barely 85,400 spectators of difference (1,524,300 spectators the derby, 1,439,000 the Athletic-Barça) . The party of the Metropolitan Wanda had a remarkable increase of repercussion with respect to the one of the first return. On day seven, the derby was 1.2 million, 21% less. In fact, clashes such as Barça-Villarreal or Real Madrid-Real Sociedad were more than that Madrid-Atleti. Cuesta draw a conclusion definitive on what day, channel and schedule has the greatest TV pull the confrontation Madrid. While it is true that, of the last ten league derbies, the most watched, with 1.7 million, was that of Wanda last season (Saturday, 8:45 pm, Movistar Partidazo), the next three most followed were at 4:15 pm at beIN LaLiga (two on Saturday and one on Sunday). In the last four seasons, derbies at 16: 00-16: 15 have averaged 1,531,000 spectators, while those at 20:45 have been watched by 1,465,000. A minimum difference of 66,000 people.